Feasibility studies are being commissioned to look at how rail services can be improved between Scotland and England, First Minister Nicola Sturgeon has announced. Speaking to business leaders in Newcastle, Sturgeon said the studies will examine solutions to improve ‘journey times, capacity, resilience and reliability’ on cross-border services. A shortlist of options to improve rail services on the east and west coast routes has already been drawn up and the next phase of the project will see these options analysed and costed. The studies will look at the East Coast main line (ECML) south of Dunbar towards Newcastle and the West Coast main line (WCML) between Glasgow and Carstairs. Today’s announcement said the study will also look at possible new cross-border stations within the Eurocentral business park and near Livingston. Nicola Sturgeon said: “I am determined for us to take the necessary steps to secure Scotland’s future and improve our connectivity with England. 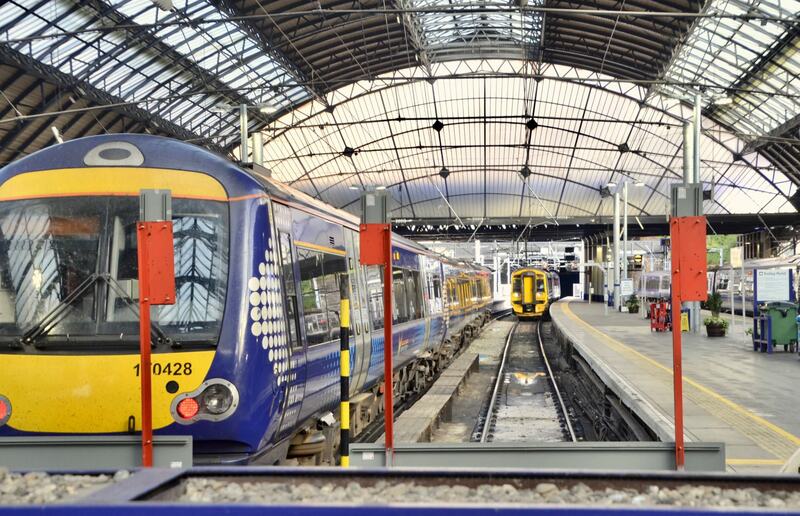 Cross border rail services don’t use Glasgow Queen Street station (as imaged)!